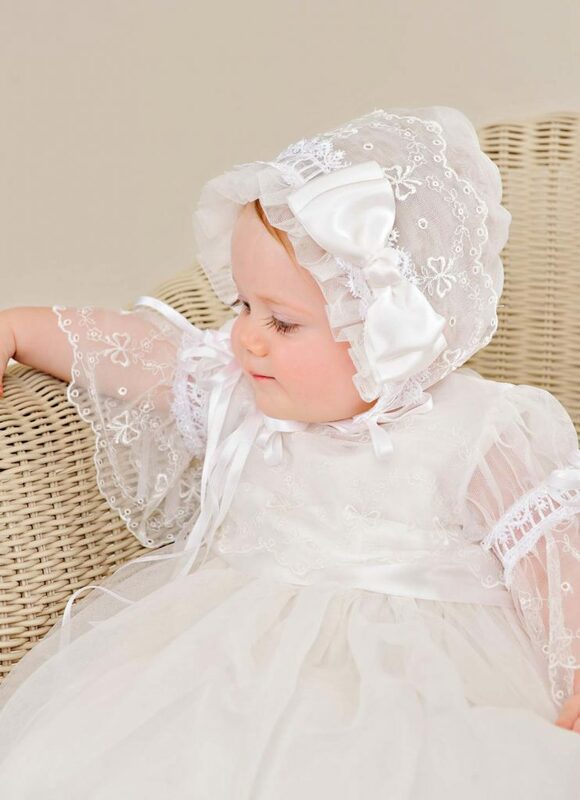 “…no one else puts the tender love, care and detailing into sewing like you! 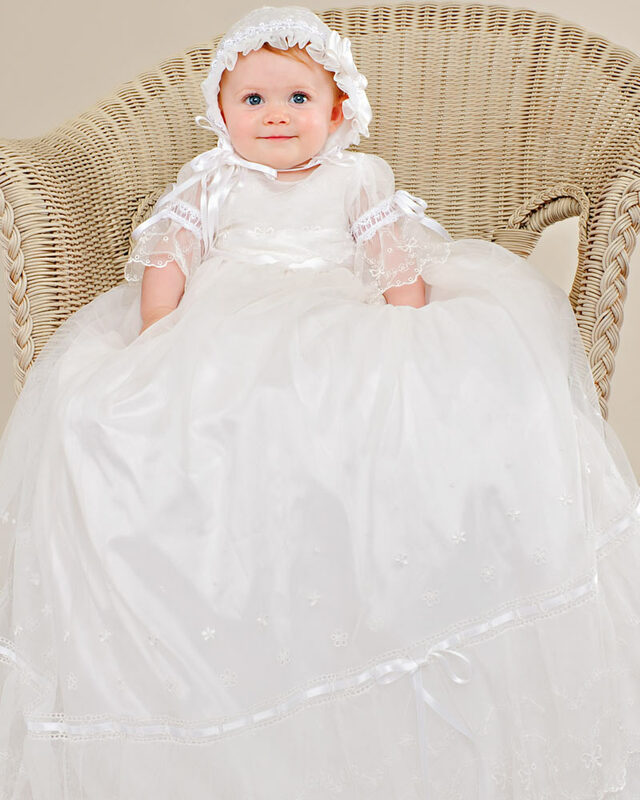 The christening gown you made our second daughter is the most beautiful I have ever seen, and it is perfectly adorable on her! 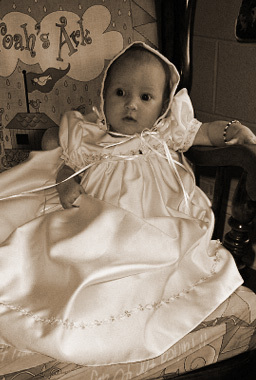 Our daughter was christened back East to continue an almost 280 year tradition at our family’s church. It was quite an affair. We recently moved to the West Coast from the East Coast. 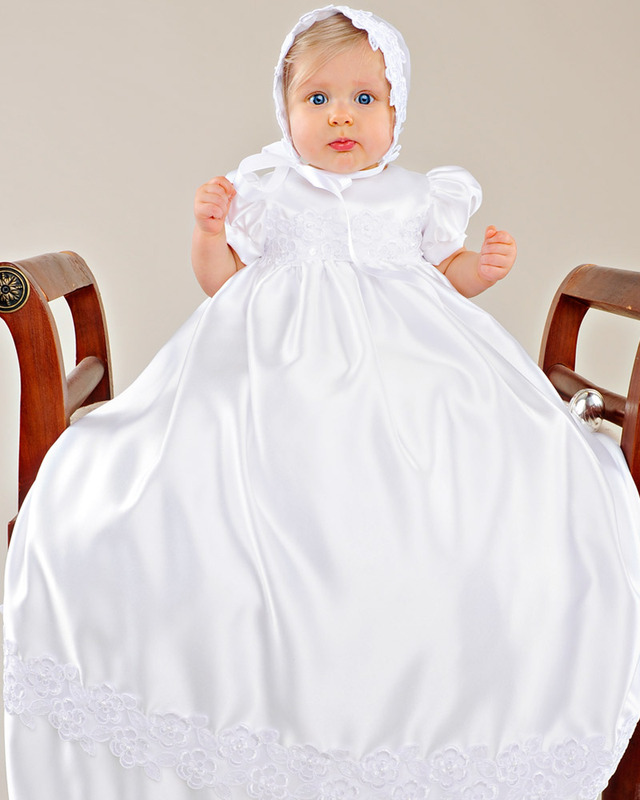 My christening gown was too small to continue the tradition. 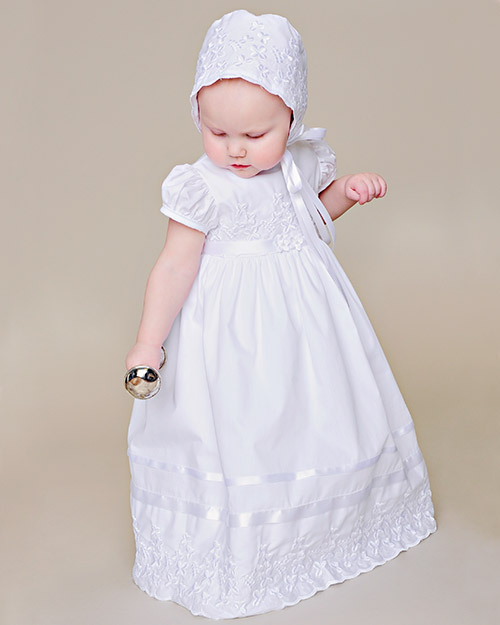 I had much difficulty finding a long beautiful, handmade traditional styled christening gown with long sleeves. Most department stores have too few selections and not very pretty. 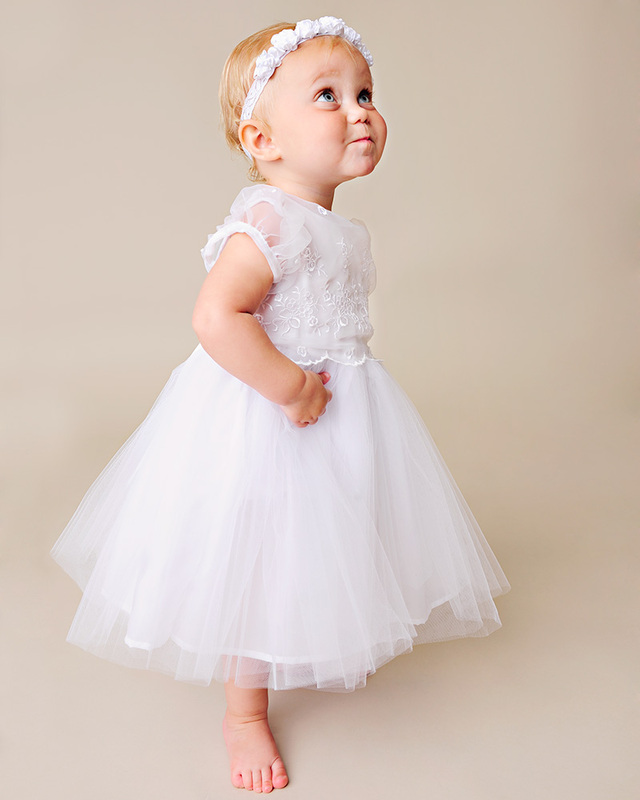 We’ve been selling dresses for a long time…twenty-five years, in fact! 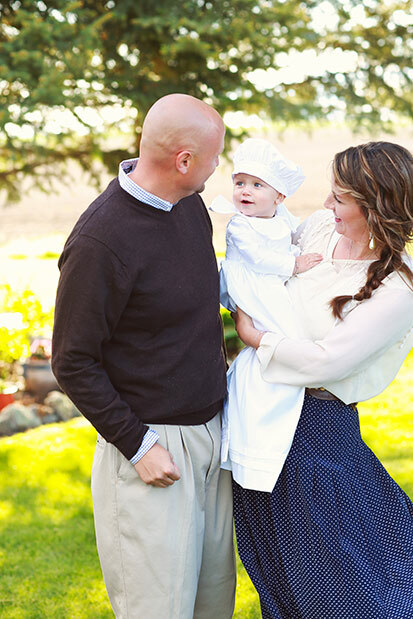 Over the years, we’ve interacted with literally thousands of people. I’ve said it before, we love feedback, and it’s true. We have the best customers. Of course, we like the positive comments…you should see the bulletin board on the wall in our customer service department. 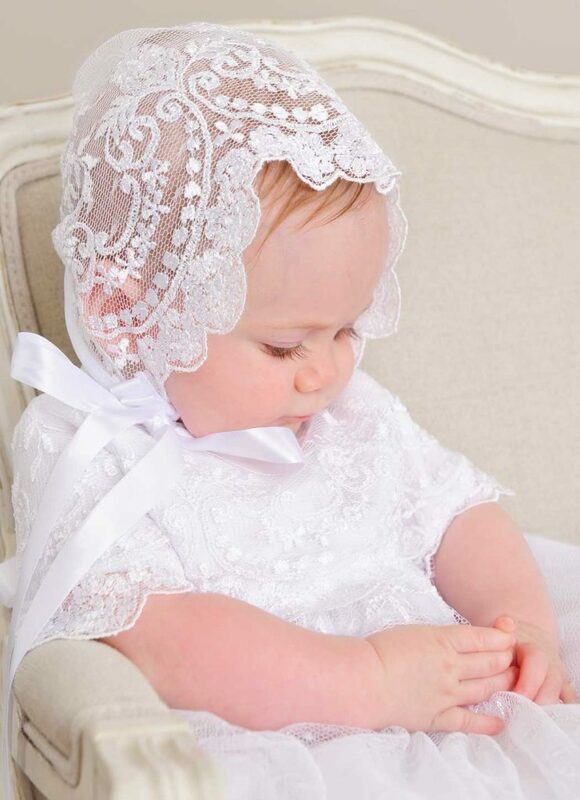 It’s covered with photos and christening invitations and kind notes from thoughtful customers. 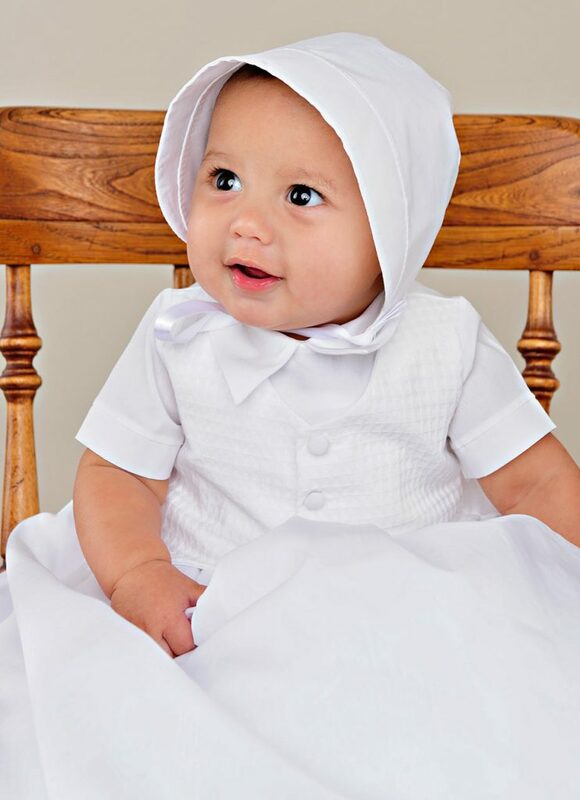 In addition, we’ve devoted an entire page on OneSmallChild.com to customer comments. Ooooh. I love our customers. Lest you think we only like the nice things people say, we actually really appreciate not-so-positive feedback as well. As hard as we work to get everything right, we’re human, Murphy’s Law kicks in every once in awhile, and we have a hiccup. Our philosophy is that the best way to get rid of our hiccups is to respond to each issue as it arises, do our best to make it right and then implement strategies to eliminate future occurrences. So thank you for bringing areas in need of improvement to our attention! Anyhoo…the point of this post is to let you know how much we appreciate comments…if you’d like to know how people feel about our company, you can view the results of our BizRate post-sale surveys here. 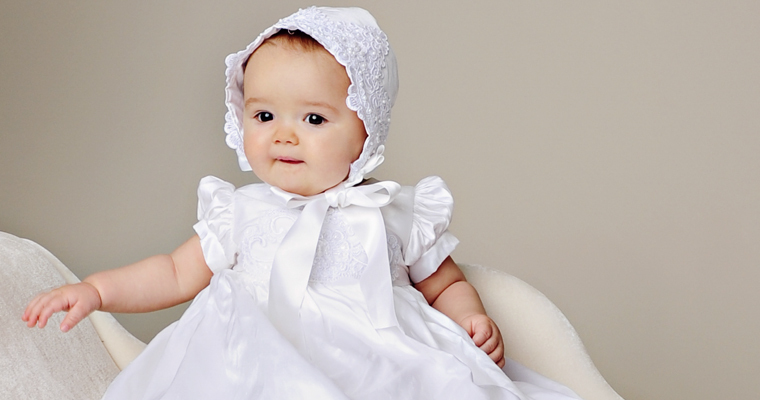 Doesn’t this baby girl look like a doll in her white satin gown? So pretty! 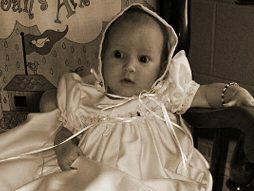 Thanks to her mother for sharing her picture!